add a personalised handwritten message to the print? Macron Stadium "Horwich Washing Lines" - A unique piece of art or gift for any discerning fan of Bolton Wanderers and/or minimalist design. 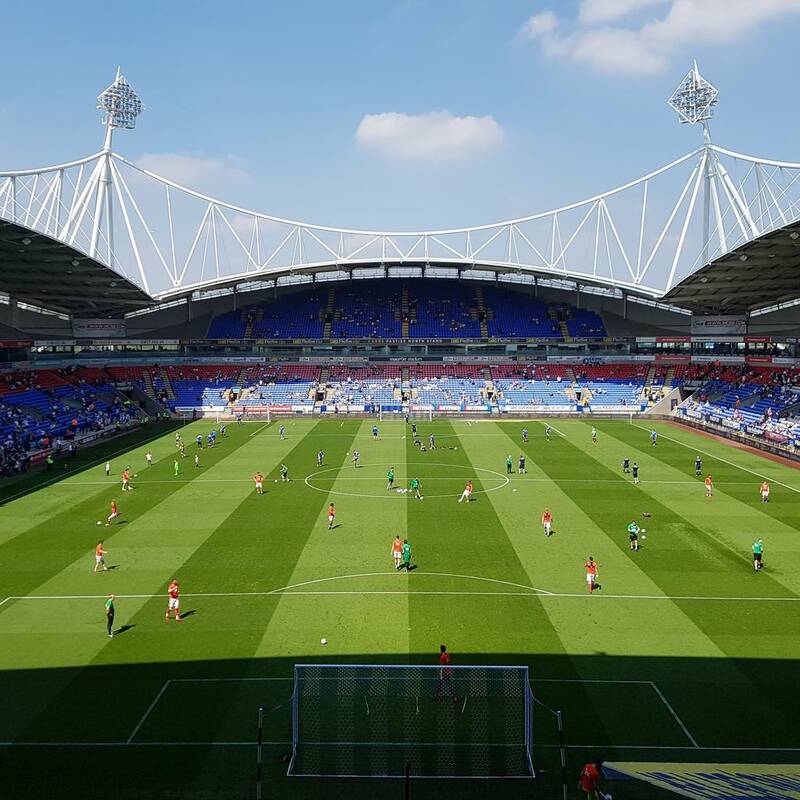 When Bolton Wanderers appointed architect Derek Wilson to design them a new stadium, the club gave him just two instructions: the ground must have a capacity of at least 25,000, and it must be an architectural statement. 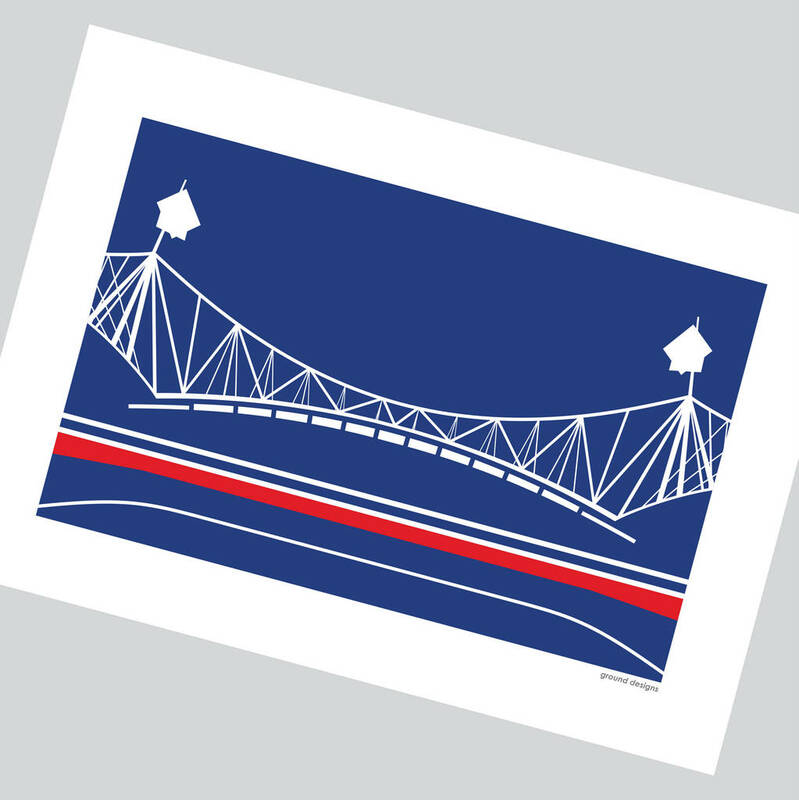 Well, Wilson certainly achieved his brief, designing one of the most dramatic and instantly recognisable stadiums this country has ever seen, centring his vision around four curved steel roof trusses, which "appear to be suspended delicately from washing lines strung between the four floodlight pylons". 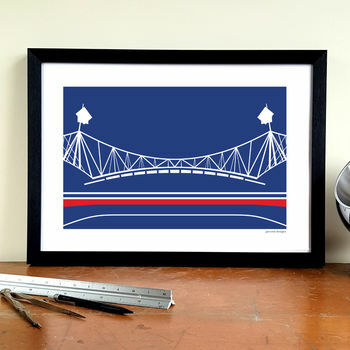 As a former structural steelwork draughtsman I have studied the steelwork details and recreated the beauty of one of the famous trusses in this minimalist graphic art print - a unique piece of artwork or gift for any discerning fan of Bolton Wanderers. Available to buy as an unframed print, or professionally framed with high quality black frame and perspex glass. NOTE! 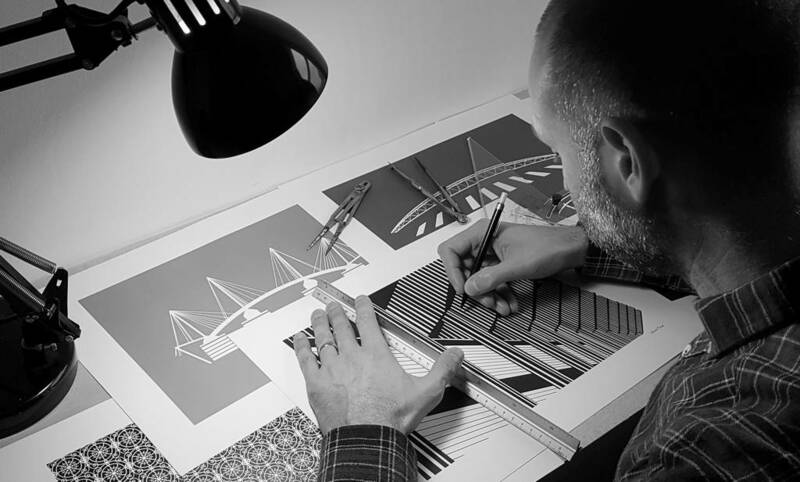 Please allow an extra five working days for delivery of professionally framed prints. High Quality A3 sized 250gsm thick Textured Gesso Art Print.